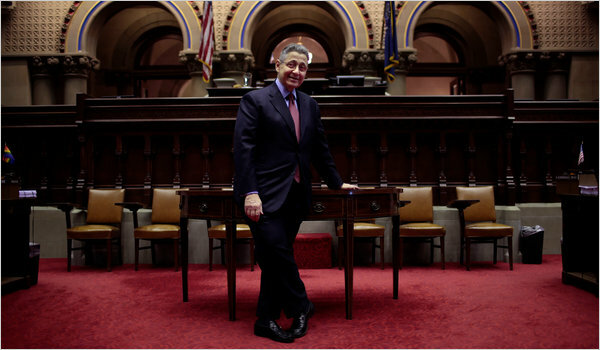 Sheldon Silver, the assembly speaker, in the chamber in Albany last week. ALBANY — Democratic leaders in the State Assembly are signaling that they are ready to embrace a cap on local property taxes, which could clear the way for its passage this year. The cap, popular with voters in New York’s suburbs, who pay some of the highest property taxes in the nation, is one of Gov. Andrew M. Cuomo’s top priorities and already has support from the Republican-led State Senate. But in what will very likely be one of the defining legislative battles of the year, Assembly leaders are indicating they want something else for their mostly urban constituents: stricter rent regulations for New York City, a measure strongly opposed by Republicans and the real estate interests that helped Mr. Cuomo capture the governor’s office in November.